Submitted by webmaster on Fri, 06/05/2011 - 14:22. Why is the business blog not given the marketing attention it deserves? In an age of shiny new toys such as social media marketing and Facebook it is often overlooked as being slightly dowdy and just a touch unattractive. Blogging requires commitment both in thought and time. CEO’s that blog are very rare as they are typically time poor. Often the first challenge is finding someone with the passion, expertise and skill within the organisation willing and able to make the effort to blog. Once that person (or persons) is onboard the next hurdle is what do they write about? A good place to start is by asking some questions. Who is My Target Market Audience? What are their business problems? What are the Goals for the Blog? This is important as this will reflect in how often you write and what you write about. Quite often corporate bloggers fall into the trap of trying to sell and write about the company products and services and their features and benefits. A much more powerful strategy is to start providing solutions and tips for their potential clients problems first and then sales will naturally follow. The reality is that quite often potential customers will be reading the corporate blog for 12 months before they pick up the phone or drop you an email. Where Do I Source This Content? Most companies forget that they already have a lot of content… it is just happens to be off-line and out of view. Therefore, you need to start thinking digital and move your appropriate off-line content out of the filing cabinets and onto the web. Does Research Evidence Support Business Blogging? Recent research by Hubspot after surveying 644 business executives revealed some facts and figures that provide solid evidence for the benefits of blogging for business. What are 10 Benefits of the Business Blog? Visits to the blog will inevitably increase traffic and a well-integrated blog that links to the company website and other corporate online properties will drive page views and hits as exposure increases. Increased traffic also increases email and RSS subscriber acquisition. Google and other search engines are increasing the value and the priority of blogs and social media assets such as Facebook and Twitter in their search results. This change to Google’s search algorithms alone makes blogging essential. The increased visibility of your business online and its positioning as a thought leader and expert in your industry and niche attracts other businesses that want to partner with you. High quantities of leads looks good but what you really want are leads that are qualified and of high quality. A blog positions your company and attracts the right type of leads as it develops and publishes content for the market you want to attract. 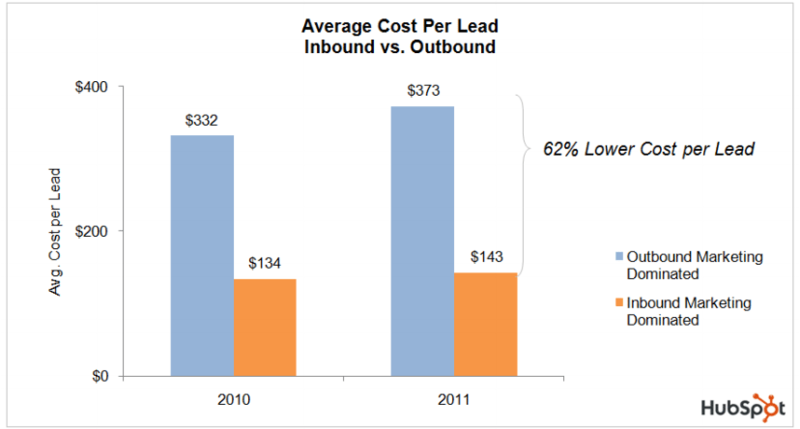 The synergy of higher traffic and increased lead quality inevitably produces an increase in sales. I certainly have noticed this over the last 2 years with sales doubling and average sales value increasing. Blogs don’t sleep and the benefit of the web is that your blog can be educating your customers while you sleep. Add some YouTube video tutorials to your blog and you have an online classroom. One of the major costs of business is educating clients prior to the sale so an online property that educates one to many without you being there is the perfect tool. One important element that should not be missing on any business blog is that you need a call to action either to subscribe, attend a seminar, make an inquiry or offering a free trial of your services. The business blog might not be as attractive as the latest fads and shiny toys but it is certainly a marketing platform you should not ignore. JEFF BULLAS is a consultant, coach, mentor and speaker and works with companies and executives to optimize their online personal, company presence and brand with digital marketing and social media through the use of social media channels and other web and mobile technologies.